Last Thursday DataMeet was lucky to be invited to a Pre Budget Consultation with the Finance Minister Arun Jaitley. We were invited to attend with the IT sector group and give some suggestions on how the next budget could invest in open data. After some consulting with the various city chapter organizers we came up with some recommendations that could appeal to this audience. We decided to emphasize that government data is a financial asset that needed to be invested in, in order for it to reach its optimal economic impact. A stance the US government made in it’s open data policy. 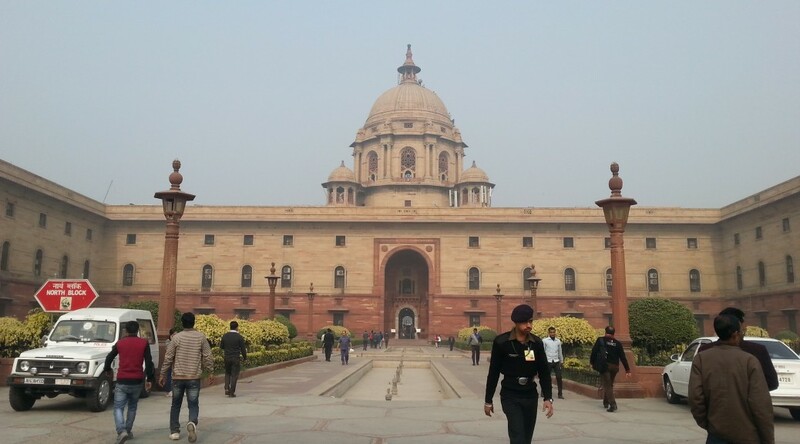 The meeting was Thursday morning in Delhi at the Finance Ministry offices, Sumandro came to represent CIS and I attended to represent DataMeet. Shri R.N. Watal, Finance Secretary, Shri Shaktikanta Das, Secretary, DEA, Dr. Hasmukh Adhia, Revenue Secretary, Ms Anjuli Chib Duggal, Secretary, Financial Services and Dr. Arvind Subramanian, Chief Economic Adviser (CEA). It was a round table and the participants were organized by software and hardware, and we presented in the order we were seated. 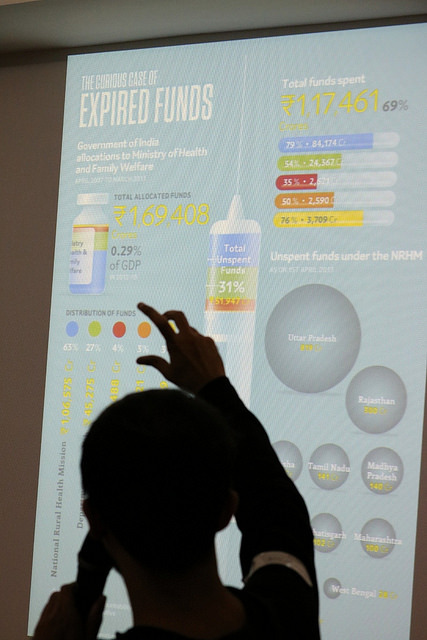 While most of the suggestions were related to tax breaks, subsidies, and trade issues, I was able to introduce the idea that the Government of India’s data is an economic asset that can help create markets, increase innovation, and allow for more accountability in scheme implementation. In order for the data to do these things it has to be opened up and that means the government must invest in the NDSAP policy and focus on data standardization, cleanup, and collection. Also policies need to be reviewed and revamped in order to keep up with demand and use of data. Like the mapping policy should allow for more contributions from private sources and crowdsourcing so the Survey of India can keep up with demand for geospatial information. The Copyright Act also needs a clarification on the status of data and the Ministries must be willing to release data under open licenses. In all the meeting was short, with the main focus being toward how to encourage manufacturing sectors because of the Make in India initiative. I was happy to be there and mention ideas and concepts that were not being discussed in rooms like that one and to also offer a perspective on open data. We hope to keep in touch with the Ministry and continue to take advantage of any opportunity to share our experiences and views on how an investment in data can be a huge economic asset to India. You can see the Government’s Press Release here. 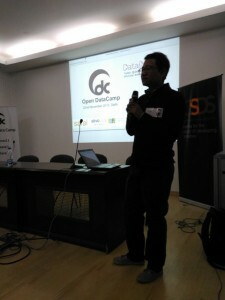 2nd Open Data Camp Delhi! 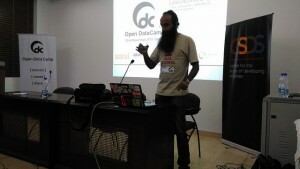 Last Su nday DataMeet Delhi hosted their 2nd Open Data Camp! 60 people decided to spend their Sunday with us to discuss Digital India and find ways to make this programme more Open and Transparent. 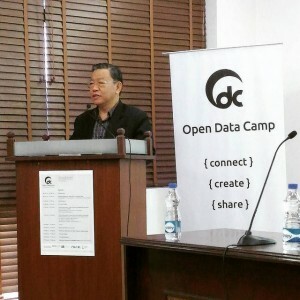 The Delhi chapter decided to examine the role of openness in Digital India, especially how the open data agenda should be integrated into the initiative. Digital India is the flagship programme of the Government of India to harness the possibilities of information technologies for accountable governance, effective citizenship, and a productive and job-creating digital economy. 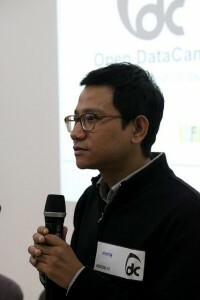 This event also explored the recent international push towards better global availability of interoperable and comparable data, such as the Data Revolution for Sustainable Development initiative of UN and the International Open Data Charter introduced by the Open Data Working Group of Open Government Partnership. The discussion looked at these wider conversation in the keynote and the morning panels. Keynote: Honourable MP from Sikkim P.D. Rai. The MP from Sikkim started off the day by talking about his experience setting up the first state level Open Data Policy, Sikkim Open Data Acquisisiton and Accessibility Policy (SODAAP),, and why it was important for them to take control of the state’s data through openness. This panel focused on the Digital India from a government and journalistic point of view of Digital India. 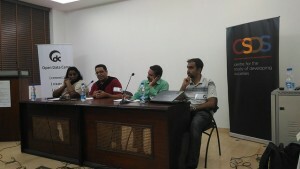 The panel had a representative from Telegana, KPMG who is implementing E-Panchayats, and from Media Namma. 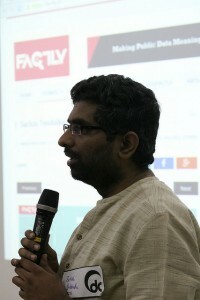 Dileep the Digital Media Director for Telegana pointed out that the government is the biggest creator of data but they are not set up to share, and are not encouraged to. Anoop from e-Panchayats pointed out that there are technical issues with implementation and technology infiltration at the local level. He said the biggest problem for them is the lack of mapping data that can used to help with planning. Nikhil from Media Namma made the point that the government should proactively disclose data, “why do we need to get personal relations to get the data?” but this doesn’t replace people’s right to ask for information and not just rely on information provided by open data. Right to Information is still vital and this includes an expanded effort to protect people’s privacy. When asked what are the challenges of openness for Digital India? That despite the big fanfare there is uneven implementation and issues that have to be solved before the dreams of Digital India are realized, and that people have to work with the government to show them the reason to be open. Bhanupriya Rao an RTI activist described out RTI has a pro-active disclosure requirement, however, it is not in practice and without that RTI is the best tool for now. There is no right to data concept. Nic Dawes described journalism as a constitutional mandate and went on say that that open data and journalism communities must work together more. Journalists can deal with biases, data interpretation issues, graphic presentations, and tell compelling stories using tech and design. Biplav Srivastava spoke about the need to move toward smart data consumption, for policy decisions and individual decisions. That the next steps are data integration/re-use/standards, and linked data for analytics. 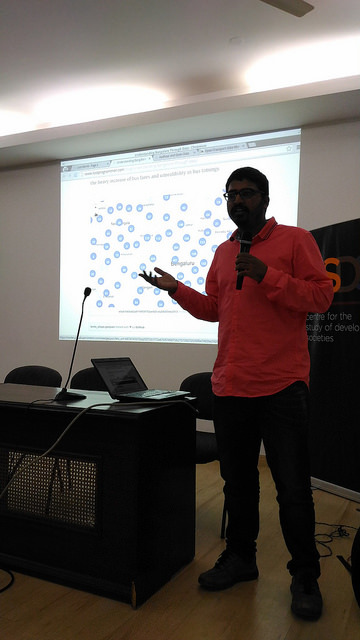 Shashank Srinivasan shared his experience with open data for conservation (WWF), how they consume OSM data for needs of protecting wildlife. What are risks for crowdsourcing for wildlife conservation? Open data can be a problem for conservation, control over the end user is needed. How can open data improve our work? How can academia and open data converge? Can donors influence on releasing data? What does it mean to be a digital citizen? Guneet from Akvo shared their smart phone app that detects Fluoride levels in water. 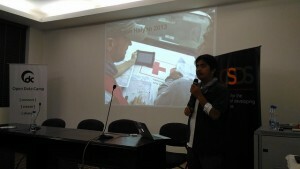 Maning from HotOSM shared their work around the world providing maps during natural disasters, including the Nepal Earthquake. 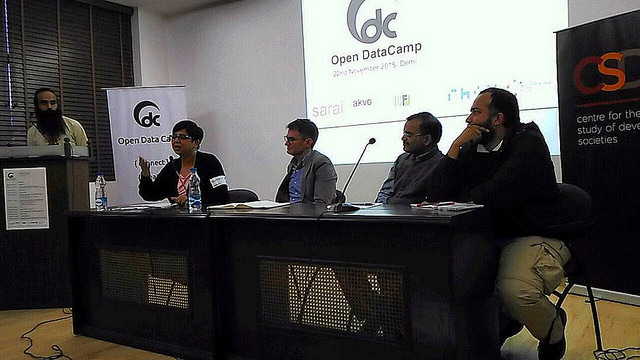 Transport Working Group shared the work looking at bus data in Delhi. Bihar Gender Watch shared the work of looking at the gender split in elected bodies. NewsPie is an online news site, they shared the data work they have done in roads and around net neutrality. 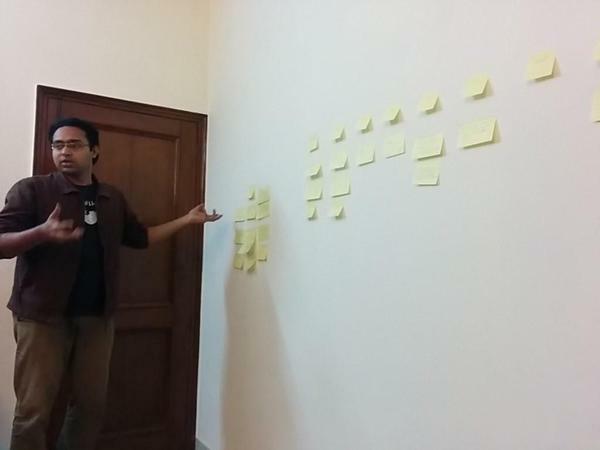 Aditya Dipankar shared his work designing information. Aruna from MapBox shared their work mapping road naming. Turam shared his project that built more data collection tools on the Open Data Kit. Yogesh from Random Hacks of Kindness (RHOK) on his vision for an open revolution! 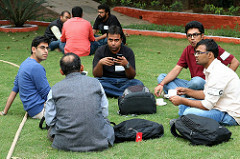 Also the work of RHOK in India bridging gaps between organizations on the ground and technologists. Monish Khetrimayum a PHD student spoke about big data, governance and citizenship. Rakesh from Factly describes how they use RTI information and open data to make sense of information for journalists and citizens. Groups were formed to discuss each pillar and come up with questions. We have gathered all the questions and put them in the DataMeet hackpad, you can find each pillar here. Please feel free to take a look and add more questions and dataset requests. After a week’s time we will be gathering everything and writing a letter of request for openness to Digital India and the various departments, DIETY, to ask them to make this information available. It was a fantastic day! DataMeet Delhi did an amazing job putting together really interesting speakers to make this a well rounded interactive event. Thank you especially to the sponsors for helping make this event great! ICFJ for food and other support. 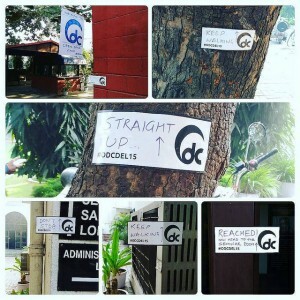 On the 2nd of September, 2015, DataMeet-Delhi spun off a small side project known as GeoDel. 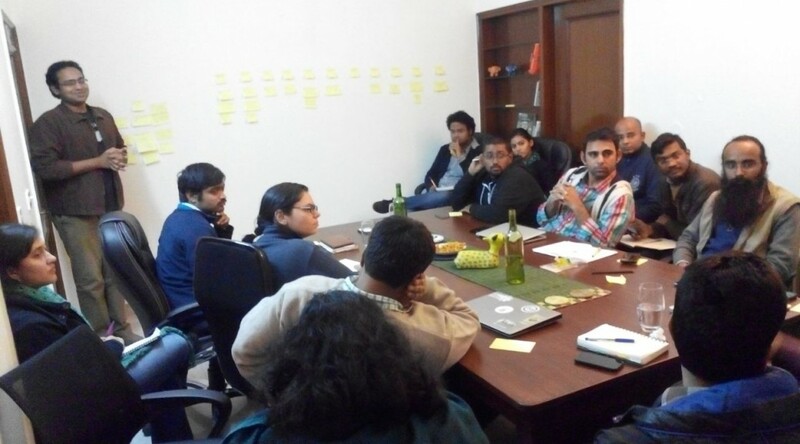 Following GeoBLR‘s example, GeoDel is a Delhi-based group/community that meets to discuss open spatial data in the Indian context. 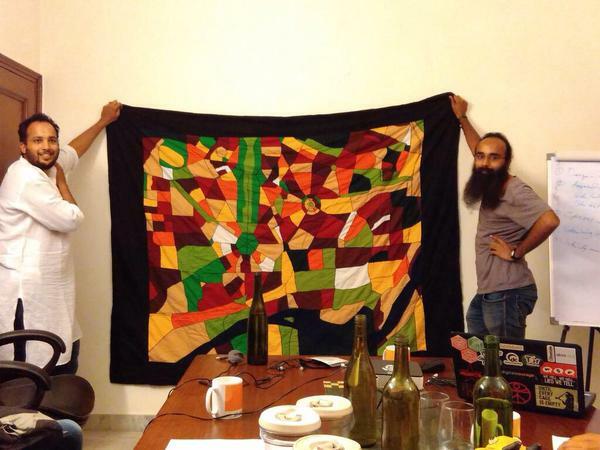 Akvo very kindly hosted us at their beautiful Delhi office, and we began with a very short talk by me (Shashank) on a quilt my mother made, based on OpenStreetMap data of South Delhi. Riju then spoke about mental maps, using a slideshow with some beautiful maps. 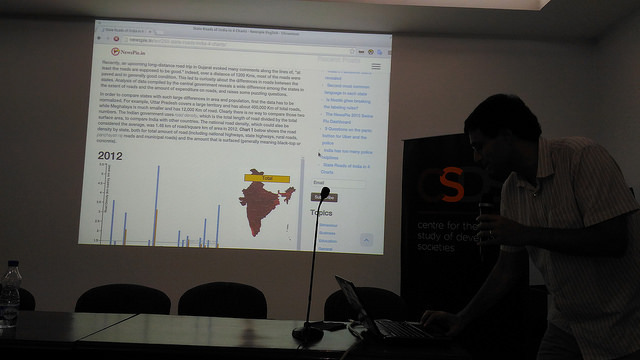 He ended his talk with a participatory mapping exercise using FieldPaper maps of Delhi, where everyone who attended the meet had a chance to shout out a random place in Delhi, and everyone else had to mark it on their maps. It was a good way to learn about places in Delhi with arcane names such as ‘Rohini‘ and ‘Patparganj‘, and to end our first GeoDel as well. GeoDel will have bi-monthly meets, so stay updated on its spatio-temporal coordinates via the MeetUp and FaceBook groups! 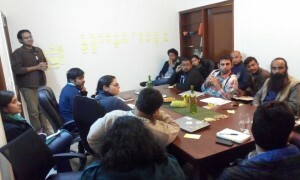 On the 28th of Jan Delhi DataMeet met to discuss their plans for the next year and to pick new organizers since Sumandro is leaving Delhi. 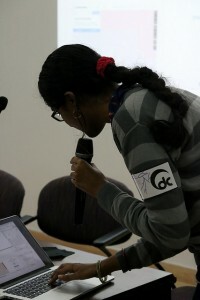 Nisha then summarized what was happening with DataMeet central and the other chapters. 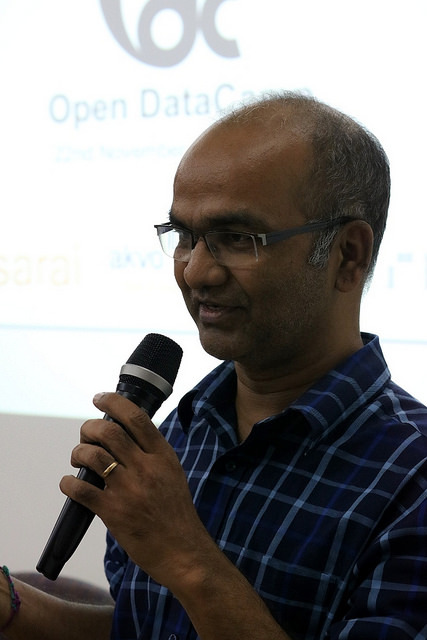 Amitangshu – when you think of DataMeet we think about through the sector we work in. How does translate to the overall goal and become a common idea to all of us? Data.Gov.iIn team is the team that is managing MyGov.in – resources have been moved to MygGov – can we push mygov to do open data things? People have to suggest open data activities on MyGov.in. Something we can do? We started out with introductions and with the following questions. What should be the purpose of DataMeet Delhi? How can DataMeet Delhi add value to your own work? 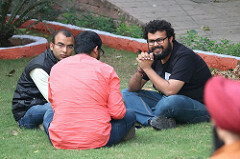 What activities/events should DataMeet Delhi do during the next year? 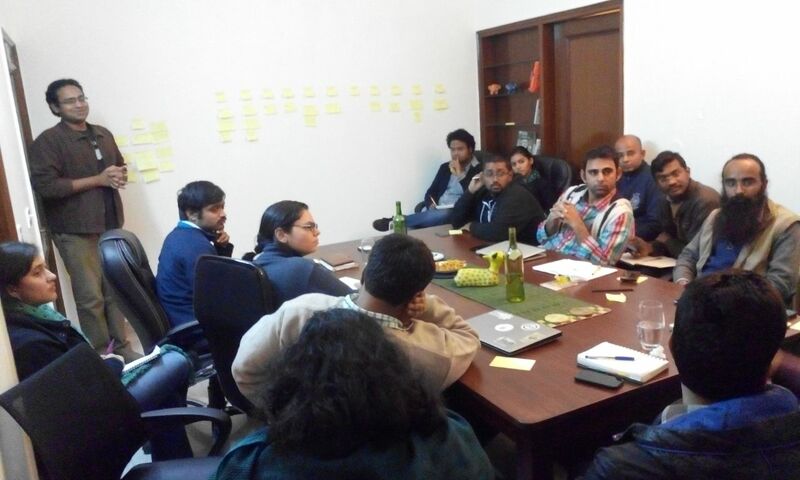 In order to find out the answer to the above questions post it notes were passed out and people were asked what they thought the purpose of DataMeet Delhi should be and what activities do they want to do in the following year. open data advocacy intervention in policy decision making, (think about other policies and portals in other ministries) (if you get buy in and it can move it forward) workshops, [bridging to osm – Satya] – advocating with various public officials – important thing to do. hold them in north and south campus – in a college. TEACHING, LEARNING, DOING – The above purpose and values can be categorized under this mantra. 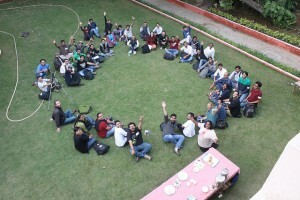 New Organizers of Delhi Data Meet!!! Thanks to everyone for a great meeting! If I missed anything please add to the comments! 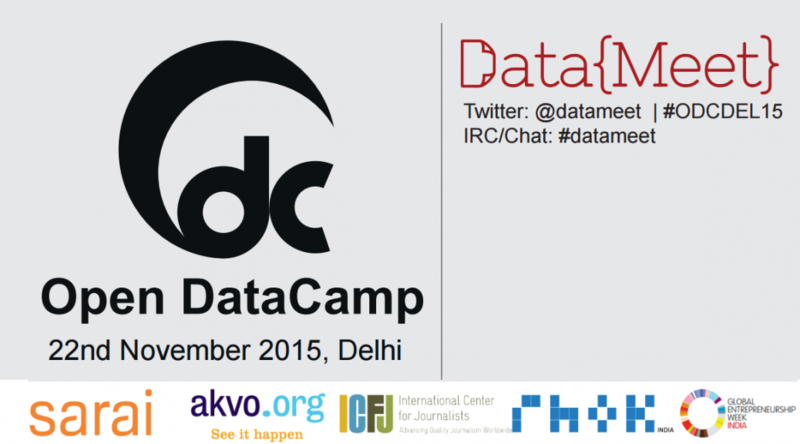 After a hiatus, the Delhi DataMeet-Up is back. We are meeting today, Friday, November 22, at Akvo Foundation office, at 5:00 pm. Updates: Sharing news across the network. 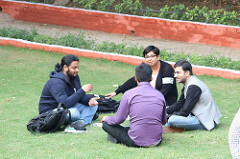 Discussion: Discussing how we can support Hack for Change around women’s rights being organised by Breakthrough.tv and Hacks/Hackers New Delhi. Shobha and Anika would begin the discussion by talking about the planned event. 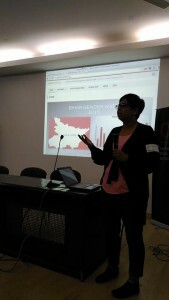 Discussion: Beginning a discussion towards a election data hackathon. It will be led by Satyakam and Surendran. 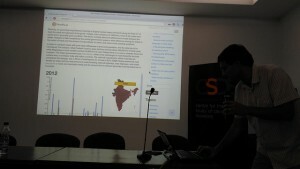 Presentation: Using iPython for exploratory data visualisation – Konark Modi, MakeMyTrip.com. 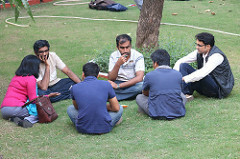 Discussion: Brief chat about the overall agenda of the Delhi chapter of DataMeet. Location: Akvo Foundation, 3rd Floor, Ramnath House, Plot #18, Yusuf Sarai Community Centre, Yusuf Sarai. Nearest metro is Green Park.